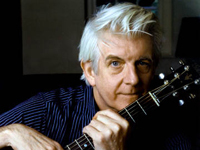 As the leader of the seminal pub rockers Brinsley Schwarz, a producer, and a solo artist, Nick Lowe held considerable influence over the development of punk rock. With the Brinsleys, Lowe began a back-to-basics movement that flowered into punk rock in the late ’70s. As the house producer for Stiff, he recorded many seminal records by the likes of the Damned, Elvis Costello, and the Pretenders. His rough, ragged production style earned him the nickname “Basher” and also established the amateurish, D.I.Y. aesthetics of punk. Despite his massive influence on punk rock, Lowe never really was a punk rocker. Lowe was concerned with bringing back the tradition of three-minute pop singles and hard-driving rock & roll, but he subverted his melodic songcraft with a nasty sense of humor. His early solo singles and albums Jesus of Cool and Labour of Lust overflowed with hooks, bizarre jokes, and an infectious energy that made them some of the most acclaimed pop records of the new wave era. As new wave began to fade away in the early ’80s, Lowe began to explore roots rock, eventually becoming a full-fledged country-rocker in the ’90s. While he never had another hit after 1980′s “Cruel to Be Kind,” his records found a devoted cult audience and often were critically praised. The son of a British Royal Air Force officer, Lowe spent part of his childhood stationed in the Middle East before his family settled in Kent. As a teenager, he played in a variety of bands, including Three’s a Crowd and Sounds 4 Plus 1, with his friend, guitarist Brinsley Schwarz. In 1965, the pair formed the guitar-pop band Kippington Lodge, which landed a contract with Parlophone Records the following year. Over the next four years, the group released five singles, none of which received much attention. In 1969, Kippington Lodge evolved into the country-rock band Brinsley Schwarz, who secured a record contract with United Artists the following year. At the outset of their career, the Brinsleys attempted to gain fame by holding a showcase concert at the Fillmore East, but the publicity stunt backfired, making the band outcasts from the British music scene by the time their first album was released. Over the next five years, the group slowly built a following as the leading exponents of pub rock, a back-to-basics movement of good-time rock & roll that earned a niche in the early ’70s. With their unassuming appearance and unpretentious music, pub rockers set the stage for punk rock in the late ’70s, not only by relying on three-chord rock & roll, but also establishing a circuit of pubs to play. Of all the old-guard pub rockers, Lowe was the most significant in the development of punk rock. By the time Brinsley Schwarz broke up in 1975, he had already gained a reputation as an excellent, eccentric songwriter, and he was beginning to produce artists like Graham Parker, Dr. Feelgood, and the Kursaal Flyers. At the time, his songwriting was veering away from the country-rock and bluesy rock that distinguished his Brinsley work, and he was beginning to write inventive pop songs. Lowe wanted to leave United Artists, but the label refused to let him go, so he proceeded to record a series of deliberately unmarketable singles in hopes of getting kicked off the label. The first was “Bay City Rollers We Love You,” a tongue-in-cheek tribute to the teen pop sensations credited to the Tartan Horde. Inexplicably, the single became a hit in Japan — the Japanese branch of UA even asked for a full album — and the label kept him as an artist. However, after “Let’s Go to the Disco,” credited to the Disco Brothers, UA dropped him from the label. After leaving UA, Lowe became the first artist on Jake Riviera and Dave Robinson’s fledgling independent label Stiff Records as well as the label’s in-house producer. Recorded for just 65 pounds and released in the summer of 1976, “So It Goes”/”Heart of the City” became the first British proto-punk single of the late ’70s, earning glowing reviews if not sales. Lowe began producing records at a rapid rate, helming the Damned’s debut album, Damned Damned Damned — the first British punk album — and Costello’s My Aim Is True in 1977; he would produce all of Costello’s albums between My Aim Is True and 1981′s Trust. Lowe also produced singles by Wreckless Eric, the Rumour, and Alberto y los Trios Paranoias as well as Graham Parker’s early albums. In the summer, he became part of Dave Edmunds’ touring band Rockpile, which would become his backing band within a year. He also released the Bowi EP (a play on the title of David Bowie’s Low LP) in 1977, and toured with the Stiff package tour Live Stiffs before leaving the label with Costello to join Riviera’s new label, Radar Records. Lowe released his debut album, Jesus of Cool (retitled Pure Pop for Now People for its American release), in 1978, which featured his first British Top Ten hit, “(I Love the Sound Of) Breaking Glass.” The single “American Squirm” was released in the fall of 1978 to little success. After producing the Pretenders’ debut single, “Stop Your Sobbing,” Lowe recorded his second album, Labour of Lust, supported by Rockpile; Edmunds’ Repeat When Necessary was recorded at the same session. Labour of Lust featured Lowe’s one big American hit, “Cruel to Be Kind,” which was a reworked version of an old Brinsley Schwarz song. Between the recording and touring in 1979, Lowe married Carlene Carter, the step-daughter of Johnny Cash; he would produce her albums Musical Shapes (1980) and Blue Nun (1981). Lowe and Edmunds toured with Rockpile to support their respective 1979 albums, and the pair were the subject of the BBC documentary Born Fighters later that year. Rockpile’s shows became notorious for their wild, frequently drunken performances and the group’s spirited selection of originals and obscure covers. In 1980, the band decided to record an album together, but the sessions were plagued by tension between Lowe and Edmunds. Seconds of Pleasure, the group’s lone album, was released in the fall of 1980 to mixed reviews; it generated one hit single, the Lowe-written “Teacher Teacher.” Rockpile split only months after the release of Seconds of Pleasure, with the remaining members choosing to support Edmunds on his solo album. Lowe returned with Nick the Knife in February of 1982, supporting the album with a band featuring guitarist Martin Blemont and keyboaridst Paul Carrack; the group was first called the Chaps, but their name changed to Noise to Go during the American tour. Nick the Knife was a moderate hit, but its follow-up, 1983′s The Abominable Showman, was a flop. Lowe retaliated by shifting his music toward roots rock on his 1984 album And His Cowboy Outfit. Both Cowboy Outfit and its 1985 successor, Rose of England, were greeted with positive reviews and improved sales; the former featured his last U.K. hit, “Half a Boy Half a Man,” and the latter featured his last U.S. hit, a reworking of his chestnut “I Knew the Bride (When She Used to Rock & Roll).” In 1986, he reunited with Costello to produce Blood & Chocolate. The album was one of many records — including efforts by the Fabulous Thunderbirds, John Hiatt, and Paul Carrack — he produced in the ’80s. During much of the mid-’80s, Lowe suffered from alcohol abuse, but with the assistance of his old mates Costello and Riviera, he recovered and gave up looking for a crossover pop hit, concentrating on country-rock and roots rock. Pinker and Prouder Than Previous (1988) was the first indication of this shift in style, but the record largely went unnoticed. Produced by Dave Edmunds, Party of One (1990) became his first charting album since 1985. Later that year, Lowe divorced Carter. The following year, he formed the supergroup Little Village with John Hiatt, Ry Cooder, and Jim Keltner; all of the musicians played on Hiatt’s 1987 breakthrough album, Bring the Family. Little Village was fraught with tension, and their eponymous 1992 album and its supporting tour suffered as a result. The group disbanded upon the tour’s conclusion. While he was working on material for a new album, Lowe’s Brinsley Schwarz composition “(What’s So Funny ‘Bout) Peace, Love and Understanding,” which had previously been a hit for Costello, was covered by Curtis Stigers for the soundtrack to Whitney Houston’s film The Bodyguard. The album became the biggest-selling soundtrack album in history and, in the process, Lowe unexpectedly became a millionaire from the songwriting royalties.